Posted in love, personal, us, wedding	| Tagged fake meat and true love, love love love, our wedding, personal, we got married! Aww! 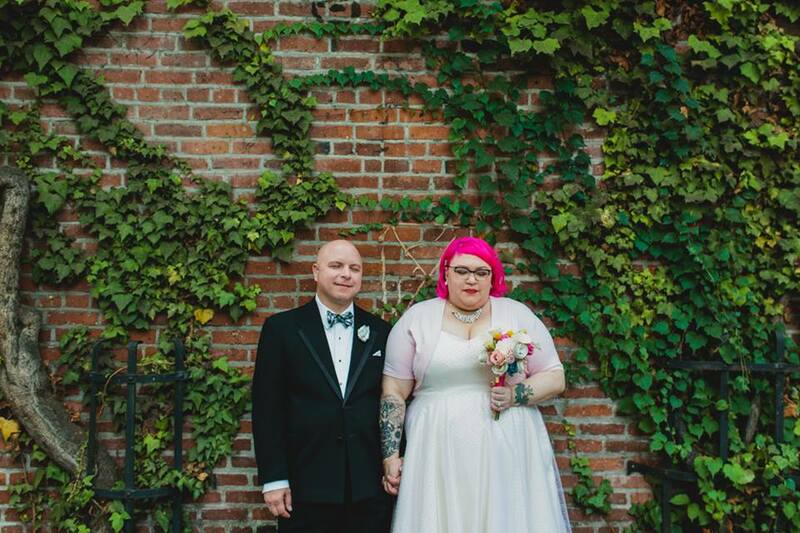 You guys look amazing-I love your bouquet & how it matches your hair, and Mike’s bowtie! Yay for weddings and love! Can’t wait to hear about your food and Austin adventures! Aw, thanks! There was a lot of pink! And Mike’s bowtie had a matching cummerbund! I’m eager to get the photos so we can write about the food, too! Congratulations. 😀 I’ve been seeing your Austin food pop up on Instagram, so much good stuff! Oh my gosh, congratulations! 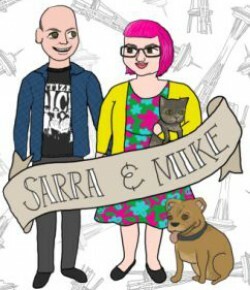 Your wedding photo is cute (and your hair Sarra, I didn’t realise it was actually pink, I LOVE THAT COLOR!). I can’t wait to hear more about the wedding!